One of the conditions for the lifting of US sanctions against Russia is the release of the Ukrainian pilot Nadezhda Savchenko, according to Assistant Secretary of State Victoria Nuland. In general, she said, the lifting of sanctions will occur in the case of compliance with and enforcement of the Minsk agreement protocol of September 5th. “If the Minsk agreements were realised as they were written, we would already have started lifting some sanctions from Russia”, –Nuland stated, according to Interfax. Specific conditions for the ending of US sanctions would be a cessation of hostilities in Donetsk airport, in the settlements of Debaltseve and Shakhtarsk, the withdrawal from Ukraine of foreign troops and military equipment, and the release of all hostages. 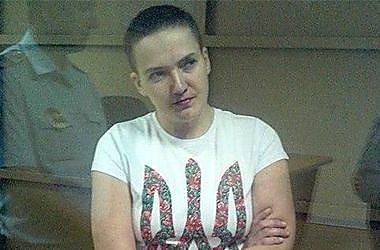 The US also considers Savchenko a hostage. In addition to the lifting of sanctions, Nuland said, the implementation of the Minsk agreement will bring peace to eastern Ukraine. Earlier, the US President Barack Obama said at the UN that the lifting of sanctions will occur after compliance with the Minsk protocol and a change in Russia’s position regarding Ukraine. The Foreign Minister of the Russian Federation, Sergei Lavrov, soon informed that the Russian authorities will stand by their positions in Ukraine. This entry was posted in English, English News, War in Donbas and tagged #RussiaInvadedUkraine, #RussiaTakesHostages, #RussiaViolatedCeasefire, Nadezhda Savchenko, Ukraine. Bookmark the permalink. But can the Russians be trusted? Better yet can PUTIN be trusted?